Altium Limited, a global leader in Electronic Design Automation, Native 3D PCB design systems (Altium Designer®, CircuitStudio®, PCBWorks®, CircuitMaker®), ECAD design data management (Altium Vault®), and embedded software development toolkits(TASKING®), has announced the next update to its flagship PCB design tool, Altium Designer. Altium Designer 15.1 will introduce several new features for improved design productivity, documentation outputs, and high-speed design efficiency. The release of Altium Designer 15.0 provided a set of features to address the growing complexity of high-speed design. To enhance the productivity of the high-speed design process even further, a wizard for xSignals that helps save time on configuring length-matching rules has been added. The addition of bikini coverlay support for rigid-flex designs allows users to easily add support layers to flexible designs that can be viewed in 3D and configured with user-specific materials. The introduction of 3D PDF output documentation in Altium Designer 15.1 makes it easy for anyone on the team, designer or not, to view a PCB design in 3D from any compatible PDF viewer. Additional design re-use tools are being added for increased productivity when managing pads and vias as reusable libraries in PCB designs. Padstacks will allow a user to define templates for different sized pads and vias in specific groups being used on a board, saving designers time by no longer having to define pad and via sizes individually. This is but a small preview of all the powerful productivity, documentation, and high-speed design features being added in Altium Designer 15.1. A full listing of all the new features in 15.1 will be released in the coming weeks. Keep an eye on the Altium Designer product page for additional feature details. Altium Designer 15.1 is scheduled for public availability in April and will be free for Altium Subscription customers. Now is a great time for designers to make the switch to Altium Designer. Take advantage of all the current high-speed design features in Altium Designer 15.0 and start a free trial today. 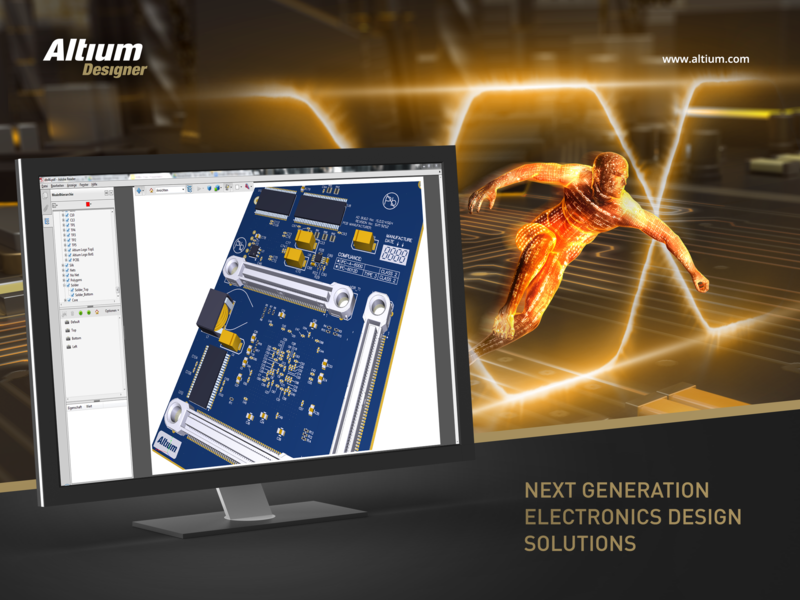 Altium Limited (ASX: ALU) is an Australian multinational software corporation that focuses on electronics design systems for 3D PCB design and embedded system development. Altium products are found everywhere from world leading electronic design teams to the grassroots electronic design community.